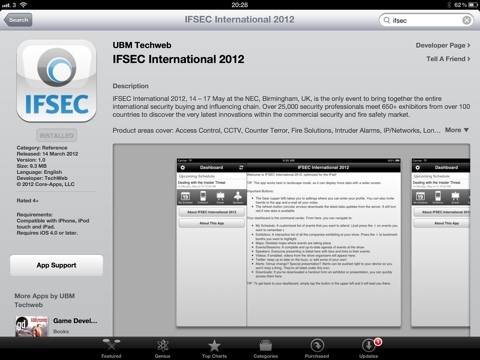 IFSEC iphone app Interactive App for Apple iPad & iPhone! We are often perhaps a little negative on IFSEC, but it looks like the organisers are bringing the expo bang into the hands of Smartphone users everywhere! 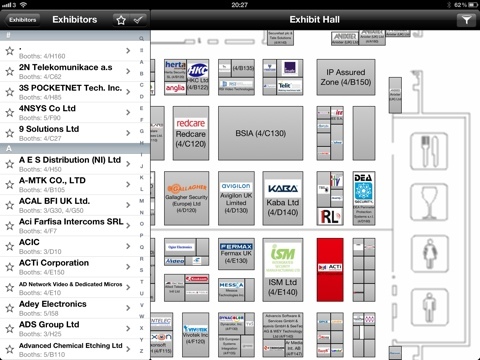 For Apple iOS devices (iPad, iPod Touch and iPhone users) there is the all new, interactive exhibition app designed to help guide you around the myriad of stands, booths, halls, whatever you want to call them! I’ve downloaded the app and I have to admit, it is pretty damn good! 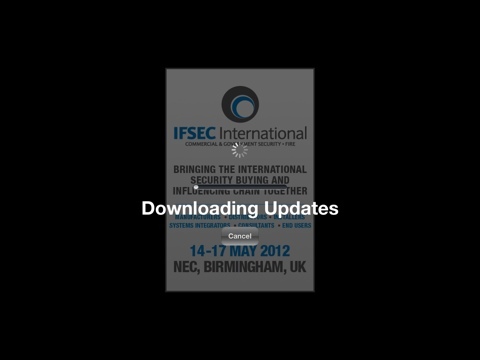 When first started, the IFSEC iphone app goes and downloads any updated content – promising true offline capabilities, this will please the thousands like me who try in vain to garnish some wifi or a decent 3G signal once in the vast arena that is IFSEC! Simply fire up before you enter the halls, you will have access to the complete list of exhibitors, daily photographs, videos and exhibition news, delivered right to your device! I, for one, HATE carrying the bulky and frankly, useless, IFSEC glossy show guide, with it’s layout map that requires a binocular powerful enough to make out cries on the moon to work out who is where!!! 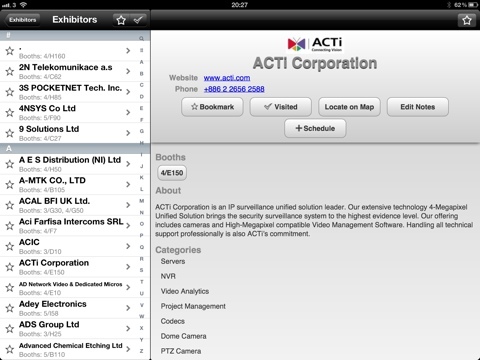 With this app, simply click on all Exhibitors, use the familiar iPhone style contact alphabet/search to find the exhibitor of interest and you will be presented with a brief company profile and buttons to show on the layout map, schedule a reminder to visit, mark as visited or add notes to. A really nice feature is the ability to ‘favourite’ add throughout the list and then click on the star to only list those exhibitors that you want/need to see….along with quick links to their stand numbers!! And speaking of notes, a nice touch is the ability to send all your notes etc via email in one go! 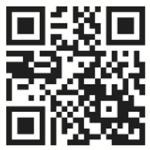 It certainly looks a polished app and with many using iDevices for business use, it makes sense to electronically navigate this behemoth of a show – I for one will be using this extensively during the show! This entry was posted on Tuesday, April 10th, 2012 at 09:30	and is filed under iPhone. You can follow any responses to this entry through the RSS 2.0 feed. Both comments and pings are currently closed.